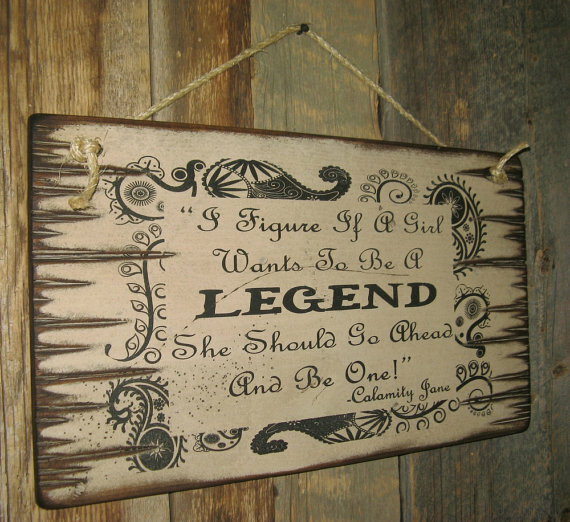 "I Figure If A Girl Wants To Be A Legend, She Should Go Ahead And Be One! 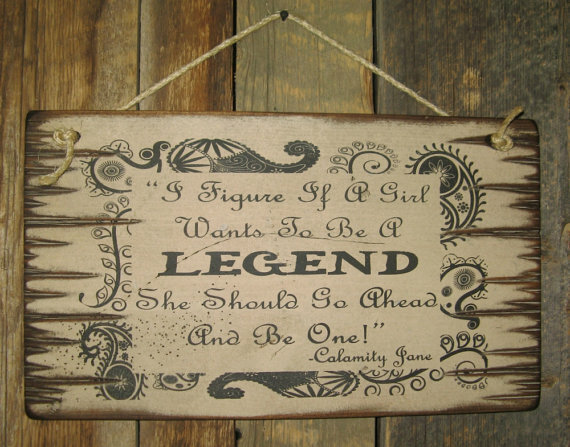 "- Calamity Jane. Well if this saying doesn't say it all, I don't know what does! This sign can be ordered in either black with light blue lettering or white with black lettering. It measures 11x18 and comes with the grass rope hanger for easy hanging. Handcrafted with pride!